Jan has been a storyteller from childhood, which is not surprising. She had the great advantage of being born in Borth on the west coast of Wales , which boasts a prehistoric submerged forest. Bells are supposed to ring beneath the sea proclaiming the existence of the sunken city of Cantre Gwelod. In the nineteenth century the village was full of sea captains including her great grandfather Captain John Evans, who seems to have a flair for embroidering the details of his life including telling the authorities that the mice had eaten his log book! He was also notorious for sinking his schooner the Rowland Evans off Bardsey Island but that's a story for another day! From her father's family Jan inherited a love of education and a dogged passion for research. The Williams family were small farmers on a meagre income yet the children had enough initiative to make a life of their own- a daughter who worked for the United Nations in New York, one son who flew for the RAF and Jan's father who educated himself before becoming an agricultural economist. Armed with a sense of adventure and a passion for history and drama, Jan set off as a teacher for Canada and spent one year in a lobster fishing community in Nova Scotia and four years in Moncton a New Brunswick railway town. It was there she became involved in a Bilingual Drama Festival which tried to heal the wounds of the bad feeling stirred up between the English and the French by General De Gaulle in the late 60's. Eventually she was back in Britain and back by water and boats again when she moved to the bustling sailing community of Brightlingsea on the river Colne in Essex. There were various efforts at novels that actually got her short listed for competitions but no publisher! Fortunately she found another way to tell a tale. She met Taffy Thomas at Sidmouth Folk Festival and became totally bewitched by the art of oral storytelling. The next year she won Sidmouth Folk Festival storyteller of the year! 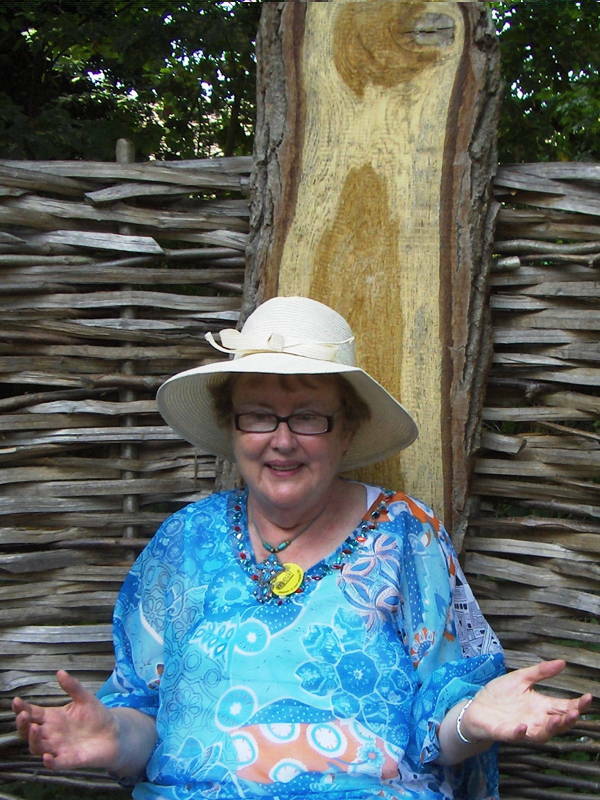 When illness meant she had to give up teaching, oral storytelling became her salvation and for twenty years she worked with the group she had founded called Essex Story tellers and they took many journeys around Essex collecting and telling tales. Then it happened! The phone rang and it was History Press asking her to write 'Essex Folk Tales'. No doubt it was as a result of the research she had done with Essex Storytellers on many projects, What a delight 'Essex Folk Tales' turned to be because she also acquired an illustrator called Simon Peecock. Simon's work has also enriched Jan's next book for children called "An amazing storytelling cat." So a new journey begins.